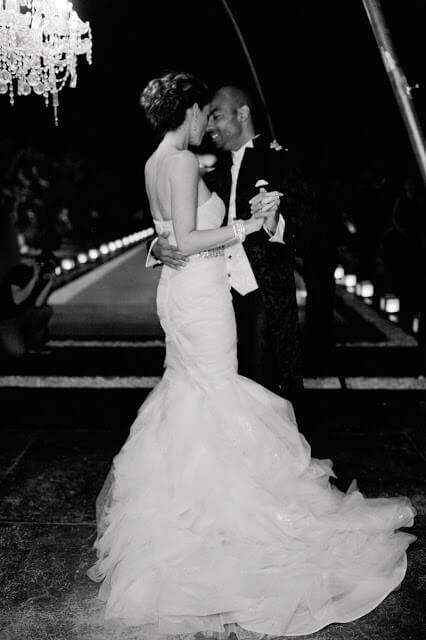 Wedding organization Marrakech : Sarah and Alain fell in love 2 times : the first time one another, the second time is when they fell in love with the 3 beautiful and uniquely highlighted bonsaï style olive trees that create the design of the lush garden of Villa Taj. They had to get married at the villa to celebrate their union under one of these trees. 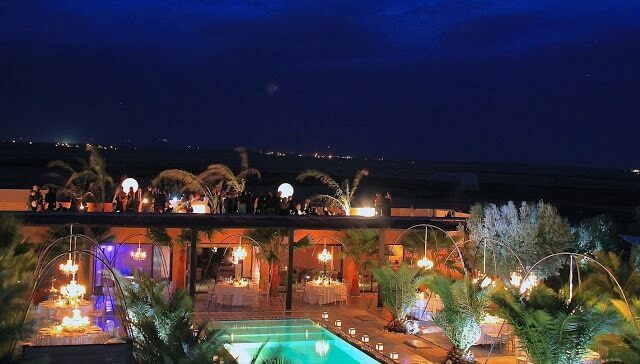 A ceremony with an officiant followed by a cocktail facing Atlas mountains, and then a dinner and a party around the 25meters pool enlighted with lanterns, facing a gian screen where the incredible life of Sarah was playing. A Sunday brunch around the pool of Villa Taj and a pool party. All friends and families attended all three events and lived like a never lasting adventure they will remember for a long long time. The day before party in the middle of the desert has been a first huge surprise for everybody as not so much people know that there is a desert in Marrakech. 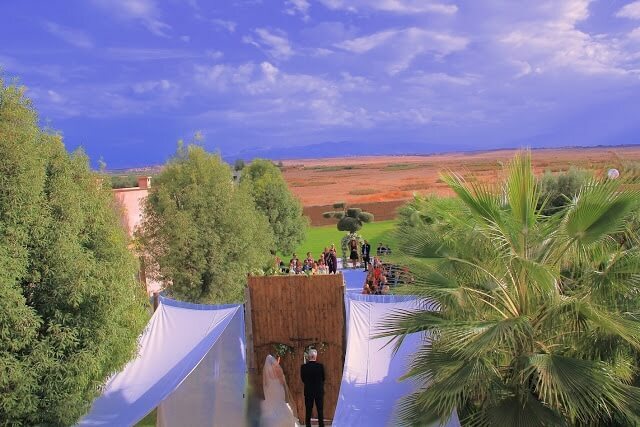 The wedding has really been a princess marrakech wedding with an adequate and sur-mesure decoration specially thought by the wedding organization. The day after pool party was the moment where all stress, emotions and tensions disappeared and everybody felt so comfortable and happy together. An eternal, lovely, beautiful and enchanting moment.